The Randox Health Grand National is Britain's most famous race and the most-watched jumps race anywhere on earth, drawing a vast worldwide audience to its unique sporting cocktail of drama, courage and spectacle. The Grand National is held on Saturday at Aintree racecourse near Liverpool. Broadcast live by ITV, it is scheduled to begin at 5.15pm and will conclude just under 10 minutes later. Who's running in the race? A total of 40 horses will line up for the traditional cavalry charge to the first fence (although a significantly lower number will cross the finish line a little over four miles later). The final line-up will be revealed around 10am on Thursday, although four reserves could take a spot in the line-up if any of the initial 40 are withdrawn before 1pm on Friday. Although the final field will not be known until then, the horses listed 1-40 on our Grand National racecard are all highly likely to run. This is the Grand National, after all - starting spots in this race are in huge demand. What makes the Grand National special? The Grand National is among the sport's most presitigous races and carries a £1 million prize fund, but what really makes the race an annual highlight for millions is the awe-inspiring spectacle of 40 thoroughbreds thundering at high speed round the uniquely challenging Aintree racecourse. 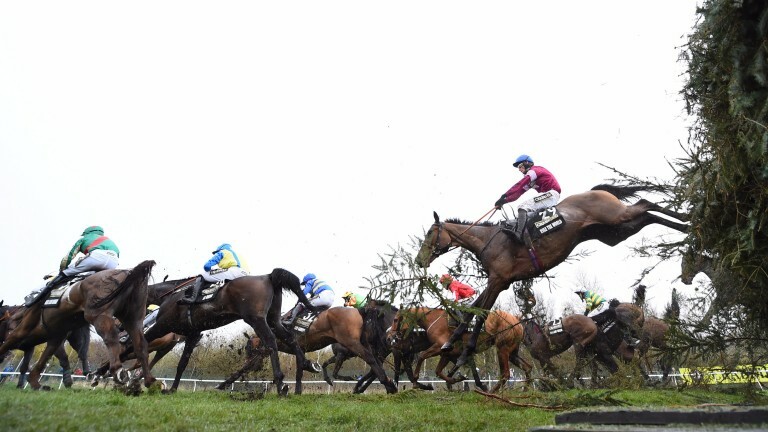 The race has been made much safer in recent years in a bid to reduce the risk to horses while maintaining the drama of the race, and the 16 fences (14 of which are jumped twice, for a total of 30) are considered the ultimate test of horse and jockey. The Grand National festival is actually three days of top-class racing, beginning on Thursday and running through to its climax with the Grand National on Saturday. All three days are broadcast live on ITV and will be covered in full here on the Racing Post website. Can I still get tickets for Aintree? Many enclosures are sold out but there are still some tickets available from the official website. Those attending might also want to read the travel information, as strike action will affect some rail services in the region. Who should I back in the big race? That's the million-pound question! Have a look at the card, check out these free bet offers if you don't already have a betting account and stay tuned to the Racing Post website and newspaper for our expert betting advice and all the latest news in the run-up to Saturday's race.